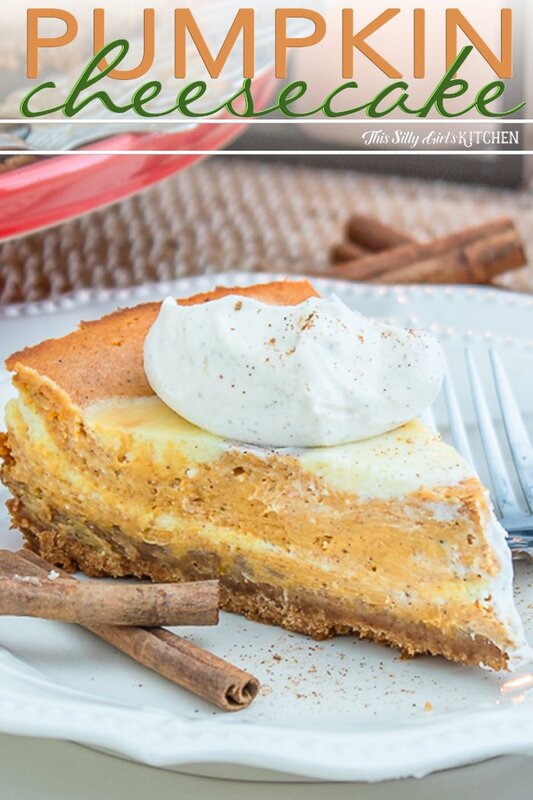 The is undoubtedly the best pumpkin cheesecake recipe you will ever taste! And definitely one of the easiest. 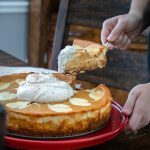 I make this pumpkin cheesecake every fall and winter per the request of, you guessed, it Jeremy – our resident cheesecake lover! 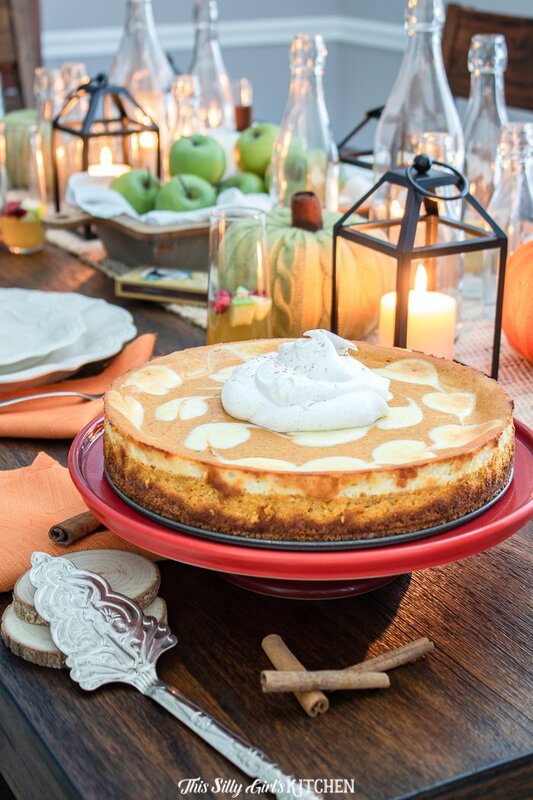 Today we are discussing not only this delectably delicious pumpkin cheesecake, but I’m going to be sharing some entertaining tips! Items mentioned in this post were supplied for free by GE Appliances for review, all opinions are 100% my own. 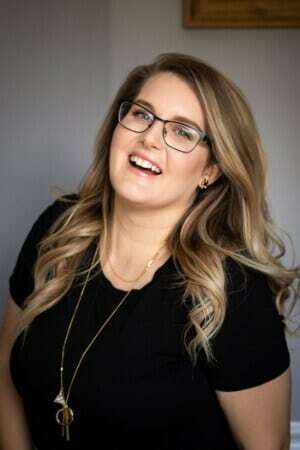 First of all, hello my friends. I am in such a wonderful mood today to share with you one of my ultimate holy grail recipes. 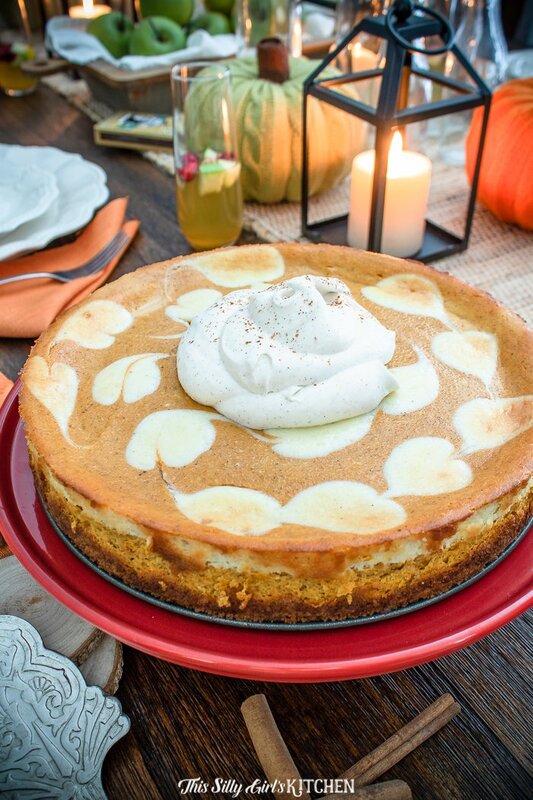 This pumpkin cheesecake is the holy grail of 1. cheesecakes 2. pumpkin everything and 3. fall desserts. 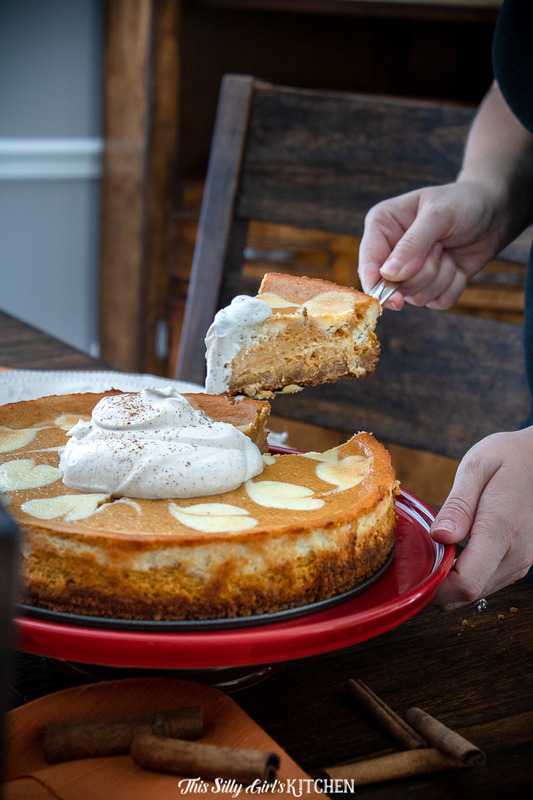 Pumpkin and vanilla cheesecake swirled together, baked with a yummy spiced graham cracker crust, and topped with homemade cinnamon whipped cream… can it get any better than this?! I served this cheesecake at a little girls-day get together this past weekend. A celebration of fall, it is my favorite season after all! It was just a small gathering mid-afternoon, so nothing fancy. I did a quick tablescape using items I already had at home. Throw in a table runner and instantly everything looks put together. I made my pumpkin cheesecake the day/night before, along with the stabilized whipped cream, and my signature cocktail of the season – Winter White Wine Sangria . I cheated a little and used store bought goodies for everything else. It’s fine, and no one will care. Have that main standout dish and bulk it up with little nibbles. 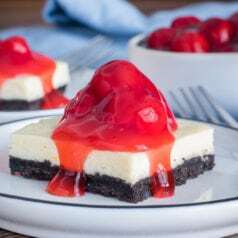 I find that having one main dish – here, our cheesecake – and tying in small bites with it really makes for a fun themed event. Everything went together. The cocktail has vanilla, apple and cranberry notes, mini apple cupcakes, snickerdoodle cookies, apples with peanut butter for dipping, and of course our pumpkin cheesecake loaded with pumpkin spice. Everything a little different than the next but all within the same theme. Now, I know you have to be asking yourself, how can I make ahead so many items the day before? GE Appliances were kind enough to send me their GE Energy Star 25.6 Cu. 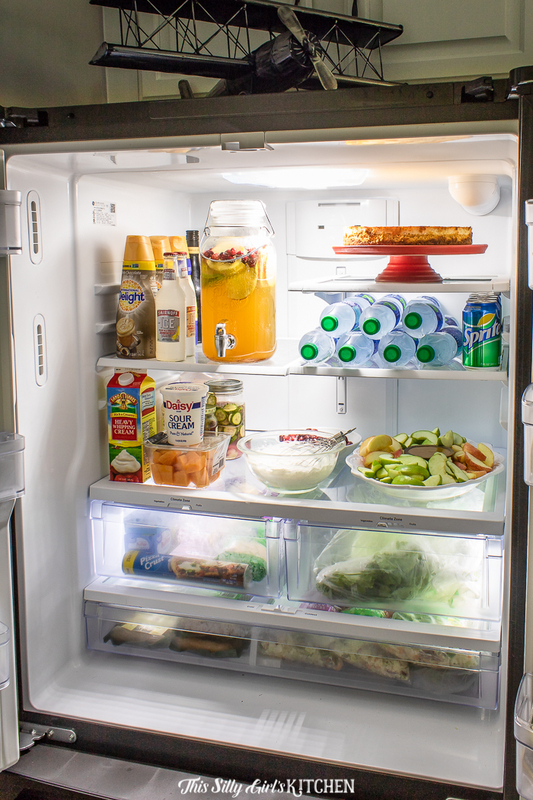 Ft. French-Door Refrigerator for review. This baby has ALL the room I need (plus some!) 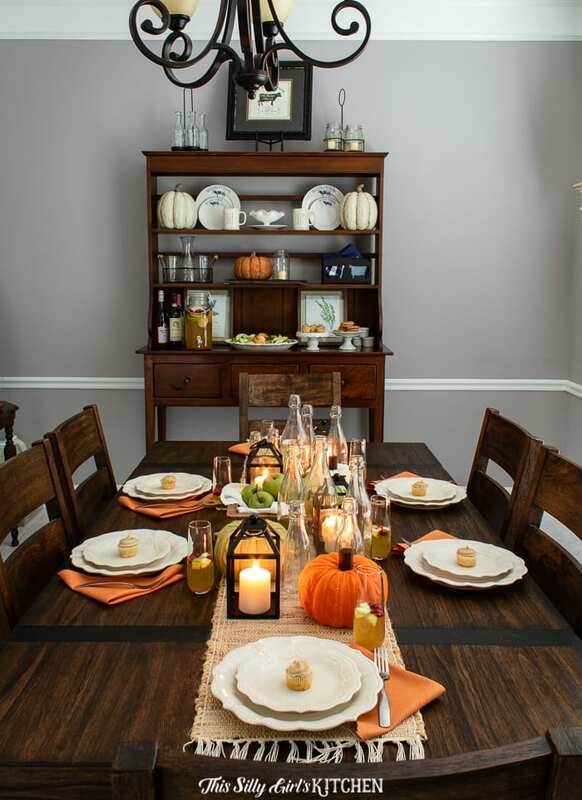 for prepping ahead for holiday entertaining. I am so in love with it. I don’t know how I went to long without having a French-Door Refridgerator with pull out freezer on the bottom. I’m never going back I tell ya! My signature cocktail, apple platter, AND pumpkin cheesecake on its cake stand ready to go all fit at one time, with lots of room to spare. It’s huge. 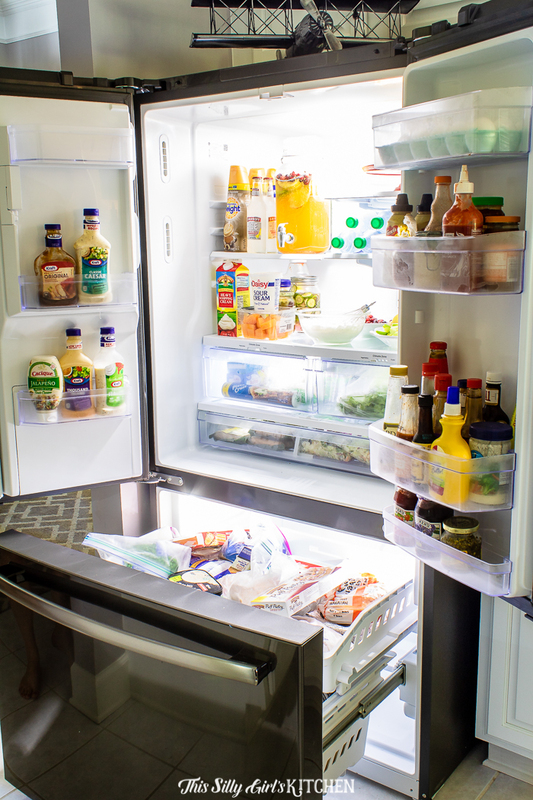 I can easily store large bulky items, including sheet trays – what I have been waiting to do for so long! LED lighting, it is super bright and easy to find all items. The shelves have raised edges keeping spills from dripping over the sides. AND the ice maker is very small and compact so it doesn’t take a lot of room out of the interior of the fridge. So, thanks to GE Appliances I have found my long lost love, lol. Now, back to cheesecake, yes?! 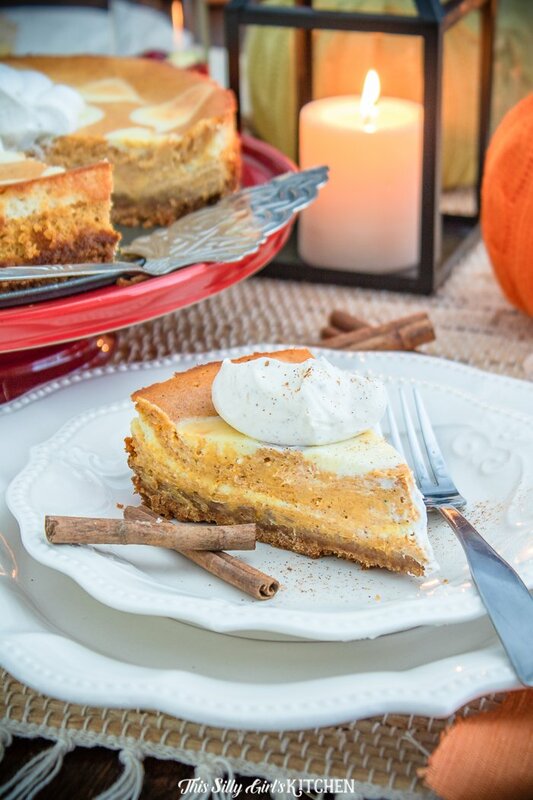 First, make the crust by mixing together graham cracker crumbs, melted butter, brown sugar, and pumpkin spice. Press into the bottom of a 9-inch springform pan. Set aside. Preheat oven to 350°, with a hand mixer or stand mix, whip the softened cream cheese until smooth and fluffy, about 2 minutes. Add the in the eggs, sour cream, vanilla, sugar and flour, whip until smooth. Take about 1/3 of the mixture and add it to a separate bowl, set aside. To the original bowl, add the pumpkin puree, and pumpkin spice. Whip until smooth. Add half of the pumpkin cheesecake mix over the crust, smooth out evenly. Add 3/4 of the vanilla cheesecake mix over top, smooth evenly. Top with remaining pumpkin mixture, smooth evenly, try to make sure and cover all of the vanilla mixture. Using a teaspoon, make small dollops all over the top with the remaining vanilla mixture, take a toothpick and swirl through the dollops, leaving a nice design. Bake for 45-55 minutes until the center of the cheesecake is very slightly jiggly. Let cool on the counter for 15 minutes, cover with plastic wrap and place in the fridge to set up overnight. Thanks so much again to GE Appliances for sending over the GE Energy Star 25.6 Cu. 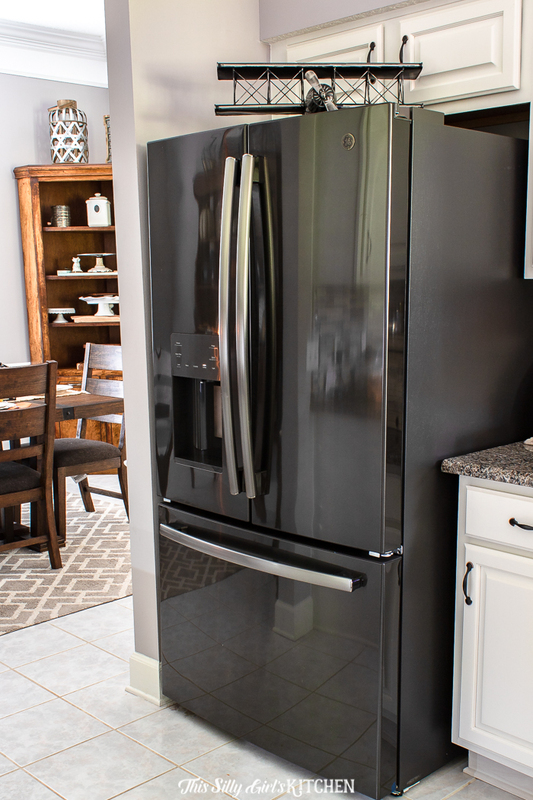 Ft. French-Door Refrigerator model number GFE26JSMSS for a review! Mix all ingredients together. Press into the bottom of a 9-inch springform pan. Set aside. Preheat oven to 350°. In a large bowl with an electric hand mixer, or in the bowl of a stand mixer, add the cream cheese and whip until smooth, about 2 minutes. Add in the eggs, egg yolk, sour cream, sugar, flour, and vanilla. Whip until combined. Take 1/3 of the mixture and add it to a small bowl, set aside. Add the pumpkin puree and pumpkin spice into the first bowl, and whip until combined. Pour half of this mixture over the graham cracker crumbs, smooth evenly. Add 3/4 of the vanilla cheesecake mixture on top, smooth out evenly. Add the remaining pumpkin cheesecake mixture on top of the vanilla, smooth out evenly, be careful and make sure to cover up all the vanilla mixture. Bake for 45-55 minutes until the center of the cheesecake is very slightly jiggly. Let cool on the counter for 15 minutes. Cover, place in the fridge to set overnight. 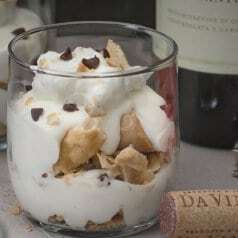 Serve with whipped cream, or topping of your choice. *Or two sleeves graham crackers made into crumbs in a food processor. **Adding the pattern on top is optional. If you do not wish to do this, just layer the different colors, add all of the vanilla mixture to the middle layer. Such a beautiful cheesecake. Love this recipe for the Fall season. Pinned!